I had heard stories from Snehanshu of his spirited paternal grandmother. She came to Birnagar near Kolkata, from Kanpur in the early decades of the 20th century as a young bride. The intricate purple, pink and gold Benarasi silk sari that was bought for her wedding, was given to me by my mother-in-law. As a 25 year old, new to Bengali customs and completely unused to wearing saris, I draped on the beautiful heirloom with some trepidation at my wedding reception. Some of my mother’s saris, including the red Benarasi silk worked in silver thread that she chose as part of the wedding gifts my father’s family bought for her, have also come down to me. My mother was born in the mountains, much removed in space and time from the Kanpur of my grandmother-in-law’s childhood. She spent her girlhood in and around the Garhwal Himalayas in the 1950s and 60s, largely in a place described by a British officer in the 19th century as ‘the beautiful valley of Deyra, luxuriant with many-tinted forests, and refreshed by the rippling little rivers, which, with as many arms as Briareus, run in a meandering course through the wide length of the vale, from the Ganges to the Jumna’. Many of the Benarasis that formed part of my mother’s wedding trousseau, despite frequently jostling cheek-by-jowl in iron trunks with my father’s treasured whisky bottles across army cantonments all over the country, still retain their lustre and delicacy. Though it is only infrequently that I wear saris, I took the red Benarasi out recently to wear at our friends’ wedding reception. What has all this got to do with design and regional and national identity? First, that in my subjective opinion, the design of the sari ensures that it is flattering to most women in the Indian sub-continent. It was the overwhelming mode of dress for Indian women, whether a Bengali brought up in North India, or a Pahari travelling all over the country. Secondly, the fact that the sari, even with its dwindling popularity, is an identifiable symbol of India. Which is why, so many of us, who may not wear saris on a regular basis, still fish them out on formal, celebratory occasions. Or why, professions or people who are involved with presenting India to the outside world, whether in the hotel industry or in the political arena, also often opt for the sari as a formal mode of wear. Thirdly, that different regions in India have different and recognisable patterns, weaves and motifs and even ways of tying the sari. The Benarasi, the Chanderi, the Sambalpuri, the Baluchari, the Dhakai – saris from different cities and regions of India, carry the names and ethos of their cities or regions with them, and conjure up specific variations on the theme. So, the Benarasi sari, though evidently associated indelibly with a specific place in India, was a cherished possession in the plains of many parts of north and east India – as was the Patola or the Paithani sari in western India, and the Kanjeevaram in southern India – wherever the sari was the preferred mode of garment. And even in some of its mountainous regions, where the flared skirt or the lehnga was more practical and was also the traditional choice for wedding apparel, the Benarasi sari was still a significant part of special wear for many women. Attributes of saris from different areas also percolate down to a shared lexicon used to evoke certain textures, or types of pattern – even when not describing clothes, and sometimes in rather unexpected places. I was reading out to my daughter from a Hindi Science magazine. This was an article on the tailor-bird. Originally written in Marathi by an ornithologist, it describes the appearance of the tailor-bird thus: ‘its orange eyes, rusty head, set off by its green jacket – soft as Chanderi silk.’ The delicate Chanderi, a product of the town in Central India famous for its fine weaves, is still familiar to most people in India – from a little girl in a metropolis to an ornithologist who grew up in the Ghats of Western India. The sari then is as much representative of a regional as it is of a national culture. This is not to disregard the fact that the sari is not worn all over India, even traditionally. The lehngas of Rajasthan, Kumaon and Kutch and the woven shifts of the Nagas are just some spectacular exceptions. Neither is the sari worn in the same way over different regions of India. What it does show is the preference in the Indian tradition, for an unstitched, woven, multi-purpose garment – despite the technology and the knowledge of stitching and sewing from very ancient times, evidenced by the archaeological finds of needles in many sites of the Harappan civilization. This predominance of a flexible, unstitched garment may also be seen in traditional men’s wear – in the form of the dhoti, the mundu, and the lungi, where depending on the fabric, the intricacy of weave and the style and variations of drape, it may be used for occasions varying from pujas to weddings to simply lounging around at home. Even most traditional stitched garments in India, such as my personal favourite, the lehnga, offer this feature of flexibility and multiple use, though naturally not as much as the sari. My own wedding lehnga has been reused sufficiently, not just by me at festivals or marriages of friends, but also by a much taller cousin. One of the lehngas I treasure the most, is the one made in the early decades of the 20th century for the marriage ceremony of my grandmother, who is of partly Kumaoni extraction. It has come to me via my mother, the only one of my Nani’s daughters to marry into a Kumaoni family. And I use my odhnis, duppattas and shawls – other unstitched garments, which the lehnga is conventionally teamed with – to protect my head, chest, ears and arms in the dry summers, the sudden monsoon squalls, and the blustery winters of Delhi. Like the sari, the lehnga can suit both casual and formal occasions; the waist can be drawn in or let out depending on how much you have eaten in the recent or distant past; it can be lent or handed down successfully without any alterations to people of different dimensions. In fact, as Rta Kapur Chisti, who has researched and written extensively on the saris of India, also demonstrates, some of the many ways in which the sari is worn, includes a form of draping and pleating which makes it function and appear like a lehnga! Thus, most traditional saris, while being a perfect compound of not just obvious hallmarks of our regional and national identity, also reflect an individual identity that owes as much to each of their makers as to their users. Even in the same region, there is variation depending on the material of the sari, different guilds and so on. In Banaras itself, the two main weaving traditions that still exist, have distinct and characteristic motifs. Yet, saris woven by different craftspeople in the same area, or even by the same craftsperson, even when they bear similar sorts of patterns, are never identical. How does this happen? Design, in its conventional meanings today, is limited to dictionary definitions, such as ‘to indicate, to draw, to contrive, to form a plan of, to set apart a plan or scheme formed in the mind’. But, evidently the sari is a designed garment, and equally evidently, rarely is it made through elaborate drawings. If the idea of luxury touted and sold today ‘still harks back to bespoke…not just ownership or consumption of an expensive object, but an enriching, individualizing, personal experience…which stays with the user for posterity’, then in India, the idea of luxury has been accessible to rich and poor alike, for generations in the past, in the form and design of the sari. In fact, even as late as about three hundred years ago, Europeans visiting India, noted that there was not much difference between the dress of the poor and the rich, except that the clothes of the rich were perhaps cleaner. Definitions by themselves, then, will not take us far, especially in the context of India. As Chaturvedi Badrinath notes in a discussion on the Mahabharata: ‘One characteristic of Indian thought has been that in the place of definitions of things, it asks for their attributes or lakshanas. That is because all definitions are arbitrary, whereas the lakshanas or the attributes, are what show a thing, through which a thing becomes manifest. Thus, not the ‘definition’ of truth, or of love, but the attributes of truth and love by which they are known is what is central.’ It may be worth our while then, to look for the lakshanas of Indian designs, in the context of their regional and national identity. Are there any obvious characteristics in form, or external treatment or any intangible features about designs made in India that render them recognizable as Indian? One attribute of design historically and over a fairly wide area of the globe, and certainly in India, was a shared knowledge and appreciation of aesthetics informing the practitioner and the patron alike. N.J. Habraken in his writings on Thematic Design records and analyses experiences in different parts of the world, to explain how design practiced within a shared image and language allows the creation of cohesive yet varied and well-suited forms and details. The presence of a shared image, and the engagement of the craftsperson as well as local resources in the production and development of artefacts, was a factor in most societies in the world – not merely in Indian society – before the onset of large-scale mechanisation. That also seems to make the sari a metaphor of universally and historically valued attributes. However, notwithstanding such similarities in localization and customisation before industrialization, historical examples of Indian design, across various fields, show some elements that seem to be quite different from other traditions. One of these distinguishing elements of design in the Indian tradition seems to be the preference for attributes that offer flexibility and versatility, for multiple purposes and occasions. As well as of the strong streak of individual creativity that eschewed replication even while following conventions. We find thus, in designs ranging from saris to cities, a high aesthetic sensibility and skill which ensure that, they are, in almost in every case, both beautiful and practical. So, not just those of my mother and grandmother-in law, but the saris of a majority of women from their generations and before, are stunning pieces of craftsmanship and design. At a cousin’s wedding recently, my aunt brought out some of her old saris to see if any of us would like to wear them. One of them, a particularly beautiful pink cotton Banarasi, was her wedding sari. As we carefully handled its now fragile folds, we decided not to risk wearing it, till we could get someone skilled enough to add on a cotton lining to it. I instead photographed it in detail, and mailed the photos to her daughters in China and England, who had not been able to attend the wedding celebrations at short notice. I had forgotten, till my cousin in China reminded me, that years ago, while I was in college, I had been lent this very sari to wear at her sister’s wedding! My mausi’s sari linked three weddings in different decades in our extended families, and reawakened memories across two continents and three countries. Such instances of a spirit of optimum efficiency, designed through creative improvisation within a cohesive whole, can be found in many indigenous folk and classical Indian traditions – music, theatre, architecture. But the sari perhaps is the best representative, and also practically the only living example, of this tradition. As Rta Kapur Chisti clarifies: ‘The sari allows us to go back at least a thousand years in design terms with variations in pattern, weave and structure between its inner and outer end-pieces and its two borders which provide drape, strength and weight while the body enhances the form of the sari or dhoti when it is worn.’ In most traditional saris, the decoration is part of the structure of the garment. The overall dimensions of the sari are more or less fixed, and the variations happen within a certain range of a fixed length and breadth. The design effort knits together and goes into spinning the material, composing the patterns and directly weaving them on the fabric. And once it is done, the same sari can fit different women of different sizes at different ages and different times of their lives. It can be bequeathed from generation to generation, and yet look different on each person, transforming itself by taking on the silhouette and the volume of the form it drapes. It is not tailored and sewn to fit one individual at one point of time in their life. The weavers and spinner’s skill and craft can be conserved and presented and displayed and worn for generations. It is in this context that the sari can also be used as a distinguished example of the qualities that marked out much of Indian design in the past, which we can learn from and apply over a wide field. Does formal Indian design in the hands of professionally designated designers exhibit these values of efficiency, multiple purposes, and customization exemplified in the sari? Do we still have a culture of design? Captain Mundy, Journal of A Tour in India, Ch. IV, pp.174-5, ‘The Valley of Deyra’. The Chambers English Dictionary. The dictionary has more words under Indian, including Indian berry, Indian hemp, India rubber, Indian fig, Indian ink, India shawl, Indian gift, etc. There is nothing that is listed or distinguished as ‘Indian design’. 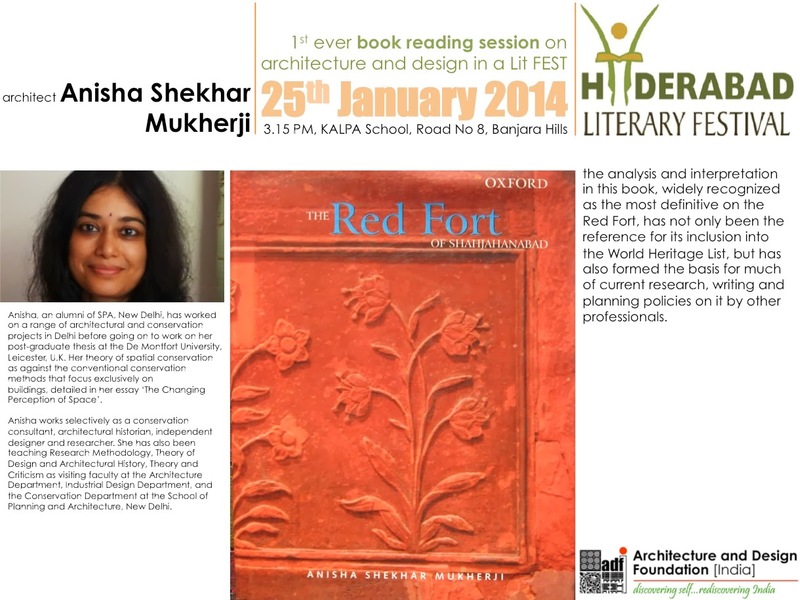 See http://anishashekhar.blogspot.in/2009/02/most-magnificent-palace-in-east-red.html for a discussion on the tradition of designing multi-use and flexible architectural space, brought to perfection in the 17th century palace-fortress built for the Mughal emperor, Shah Jahan. An extremely beautiful piece of writing of the Sari or Shatikaa as it was called in ancient times. This is an example of art work saris. Now what I am worried about is the disappearence of this garment. The modern Hindu mind is so colonised that young women are giving up saris saying it is unwieldy for modern conditions of hasty travel and quick movements. Now that only shows how women and men also have become unimaginative. Why not customize the sari for modern urbanoty? If Indian soldiers could fight in dhotis, if they can dance in saris,why can they reinvent it. If some designer like Ritu Beri is game, I can help her. Art work saris will survive only if work place are also used. International Forum for India's Heritage. PO Box 8518, Ashok Vihar, Delhi 110052 INDIA. I do hope the sari stages a come-back. It has so many things going for it, that it would be surprising if it didn't. But then, truth is stranger than fiction. It was a pleasure to read this piece, in fact I did so several times. The sari is a very interesting example of an object thoroughly embedded in a culture, a form shared by all for many generations. The way you discuss it is very attractive and enlightening. * Design as a proposal for something to be made by someone else. * Design as the way an object or configuration of parts presents itself - has been done. But mentioning this only makes me appreciate more the way you navigate these variations in your writing. As a non-native reader I do not know what, for instance, a lehnga looks like and how one wears it. Perhaps a footnote can be added to inform the ignorant. The pictures of the sari samples are wonderful, but one would like to know, for instance, which is the Benarasi example. Thank you for your very encouraging,thought-provoking and useful comments. I have added captions to the photographs of the saris - all of those featured so far are Benarasis - to help clarify the text. I hope to add on a footnote and pictures of the lehnga as worn, too. Your point about the possible meanings and possibilities of 'design', is very pertinent. In fact, it makes me wonder about the equivalent term(s) in Hindi and Sanskrit, and how their meanings corelate with what we commonly understand about design in the English language. That may be an interesting line of enquiry, especially in looking at what design meant in the older Indian context. Sanskrit, in particular, has many synonyms for most terms, conceived in part to explain specific invested attributes of an object/person - a circumstance that paradoxically makes the language difficult to follow (something the medieval traveler to India, Al-Beruni remarked upon with dismay)since a word may simultaneously have literal, metaphorical or metaphysical meanings. Your observation about the many words for 'snow' that Eskimos have, makes me recollect the information that Anupam Mishra gives about the numerous words for 'water' and 'ocean' in the language of the people of Rajasthan - an area in India that has been a desert for centuries. This may seem strange and a little like wishful thinking, till one recollects that this is one of the places which is said to have been located on the route of the legendary river Saraswati (also revered as the Goddess of Learning) along whose banks the Vedas are said to have been composed. Interestingly, archaeological investigations reveal that a huge river once did flow in this desert area, with remnants of many cities of the Harrappan civilization alongside. The link between memories, language and objects, is indeed very complex. And I suppose as languages lapse or disappear, memories fade and objects and their design attributes transform. Namaste. Anisha Sekhar Mukherji madam thank you very much for your precious comment to my Lamps of India message. Anisha Sekhar Mukherji madam very good article on Traditional saris of India. Anisha madam in my blog you find several posts with the images of vintage indian postcards in traditional saree wearing like this. Anisha Sekhar Mukherji madam your blog's articles covered many topics with so much useful information and some of those topics are of my interest. Anisha madam i like your blog and just now i joined as a member to your blog. Anisha Sekhar Mukherji madam please look into my latest post "The Ramakien - Thailand Ramayana" and give your valuable comment for the same. Anisha Sekhar Mukherji madam apart from sharing my knowledge and collections through my Heritage of India blog i am also sharing my knowledge with school and college students by giving seminars to them on Indian Heritage and Culture. Anisha Sekhar Mukherji madam so far i gave 2 seminars to students and these are my 2 seminars links. Anisha Sekhar Mukherji madam please look into my above links and share your valuable comments. Thank you very much Anisha madam.